Miniature, real-life inspired packaging with a mystery Shopkin inside! 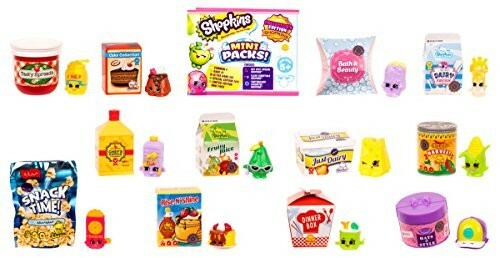 Includes 12 Mini Pack and 12 Shopkins For the first time ever, Shopkins from Season 1 through 3 return in its original colors with a commemorative gold, silver and bronze medallion Will you find the Limited Edition Fantabulous Favorites? This product is listed on amazon using an ASIN of #B079DCK6LX	with an original MSRP	of $14.99	. Product prices and availability are accurate as of April 18, 2019 and are subject to change. Any price and availability information displayed on Amazon at the time of purchase will apply to the purchase of this product. Certain content that appears above comes from Amazon Services LLC. This Content is provided 'AS IS' and is subject to change or removal at any time.